With a full range of restorative treatments, we always attempt to save your compromised teeth. However, if you have severe damage, extraction may become necessary. Dr. Lisa Johnson and Dr. Leanna McBride use gentle techniques and effective local anesthesia, so you should feel nothing more than a sense of pressure during treatment. 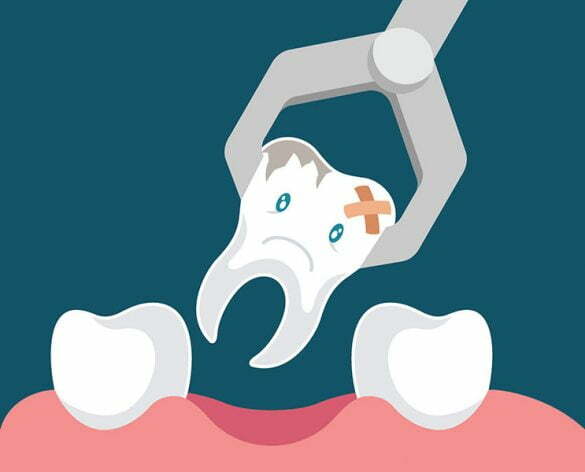 Wisdom teeth, or third molars, usually erupt during the teen years. For most people having these extra teeth in the back can cause misalignment and other dental problems. The professional team at Grand Dental Center in Grand Rapids, MN will monitor your wisdom teeth and help determine if you need them removed. Dr. Johnson or Dr. McBride may recommend wisdom teeth removal to avoid serious complications and to keep your smile healthy. We will carefully evaluate your smile, including the positioning of your teeth and wisdom teeth, to determine whether your smile would benefit from wisdom teeth removal. To learn more about wisdom teeth removal, give the professional team at Grand Dental Center a call today at 218-326-0339. We are committed to keeping your smile in the best possible health.